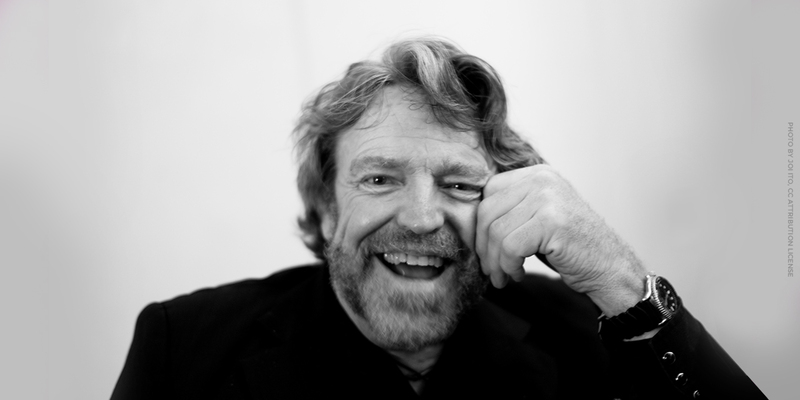 Individuals from the furthest corners of cyberspace gathered Saturday to celebrate EFF co-founder, John Perry Barlow, and discuss his ideas, life, and leadership. The John Perry Barlow Symposium, graciously hosted by the Internet Archive in San Francisco, brought together a collection of Barlow’s favorite thinkers and friends to discuss his ideas in fields as diverse as fighting mass surveillance, opposing censorship online, and copyright, in a bittersweet event that appropriately honored his legacy of Internet activism and defending freedom online. Thanks to the magic of fair use, you can relive the Symposium any time by visiting the Internet Archive. Video begins at 48:00. EFF Executive Director Cindy Cohn. EFF co-founder Mitch Kapor with Pam Samuelson. Samuelson and Barlow speak with Bruce Lehman, head of the USPTO in 1996. Pam Samuelson, Distinguished Professor of Law and Information at the University of California, Berkeley, pointed out that Barlow’s 1994 treatise on copyright in the age of the Internet, The Economy of Ideas, has been cited a whopping 742 times in legal literature. But he didn’t just give lawyers an article to cite—Barlow helped the world understand that copyright had a civil liberty dimension and galvanized people to become copyright activists at a time when traditional notions of information access would be shaken to their core. Freedom of the Press Foundation's Trevor Timm. Whistleblower Edward Snowden talks about Barlow's impact. Shari Steele, John Gilmore, and Joi Ito. John Gilmore, EFF Co-founder and Board Member, invoked French philosopher and anthropologist Teilhard de Chardin, whose ideas Barlow specifically referenced in his writings. Barlow’s interest in mind-altering experiences, like taking LSD, said Gilmore, wasn’t just related to his love of the Internet: it came from the exact same place, an interest in creating the “great collective organism of mind” that Barlow hoped we might one day become. Steven Levy, author and editor at large at Wired. Joi Ito, Director of the MIT Media Lab. Joi Ito, Director of the MIT Media Lab, described Barlow’s sense of humor and optimism—the same “you see when you talk to the Dalai Lama.” Today’s dark moments for the Internet aren’t the end, he said, and reminded everyone that Barlow had an elegant way of bringing these elements together with activism and resolve. His deep sense of humor came “from knowing how terrible the world is, but still being connected to true nature.” Ito also touched upon Barlow's groundbreaking essay A Declaration of the Independence of Cyberspace as a crucial "battle cry for us to rally around," taking the budding cyberpunk movement and helping it become a socio-political one. The second panel fielded questions on encryption, Barlow’s uncanny ability to show up in the weirdest places, and how we can inspire the next generation of Barlows. Echoing EFF’s mission of bringing together lawyers, technologists, and activists, Joi Ito said that we will need engineers, lawyers, and social scientists to come together to redesign technology and change law, and also change society—and that one of Barlow’s amazing abilities was that he could talk to, and influence, all of these people. Twenty-seven years later, EFF continues to work at the bleeding edge of technology to protect the rights of the users in issues as diverse as net neutrality, artificial intelligence, opposing censorship, and fighting mass surveillance. Ameila Barlow reads from the 25 Principles for Adult Behavior. Amelia Barlow, John Perry’s daughter, thanked the “vast web” of infinitely interesting and radical human beings around the world who he cared about and cared about him. “Never before have you been able to draw more immediately and completely upon him—and I want you to feel that,” she said, before reading his now-famous 25 Principles for Adult Behavior. Anna Barlow reflects on her father's life. As Anna Barlow said in her opening remarks, Barlow’s adventures didn’t stop in his later years—they just started coming to him. Some of the most brilliant thinkers in the world showed that this will remain true even while his physical presence is missed. Perhaps the Symposium was one step towards creating the “great collective organism of mind” that Barlow hoped to see us all become. And at the very least, Anna said, he doesn’t have to be bummed about missing parties anymore—because now he can go to all of them. Cory Doctorow gives parting words on honoring Barlow. “This week—sit down and have the conversation with someone who’s already primed to understand the importance of technology and its relationship to human flourishing and liberty. And then I want you to go varsity. And I want you to have that conversation with someone non-technical, someone who doesn’t understand how technology could be a force for good, but is maybe becoming keenly aware of how technology could be a force for wickedness. And ensure that they are guarded against the security syllogism. Ensure that they understand too that we need not just to understand that technology can give us problems, but we must work for ways in which technology can solve our problems too.